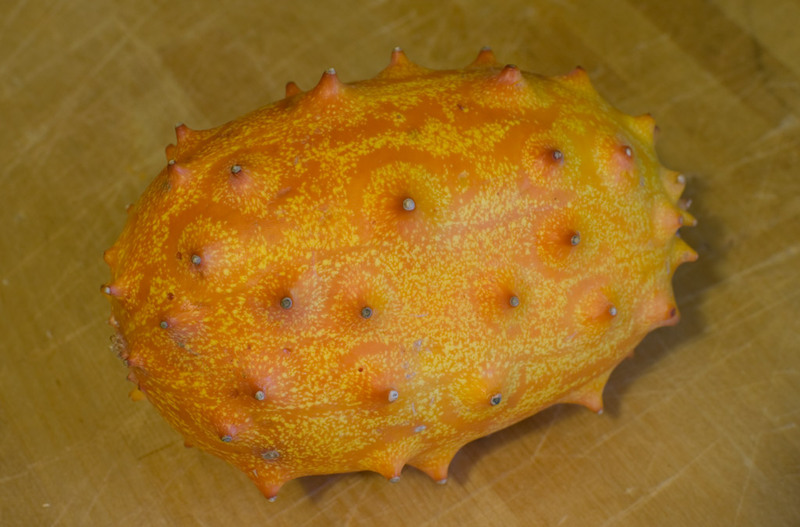 Another one for the freaky fruit files — horned melon, aka kiwano. The hard, spiny outside opens up to a bright green interior. 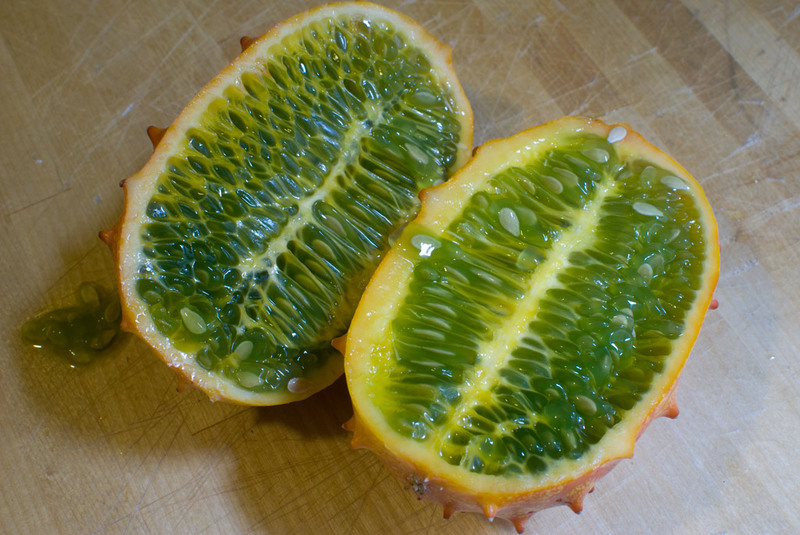 The fruit is actually hundreds of tiny gel sacs covering edible (but tasteless) seeds. The gel has the grassy taste of an unripe banana. Not the best thing I’ve ever eaten, but I only picked up the fruit for the novelty of its appearance, so what can you do?